The SWD Eagles ended round nine in the Currie Cup First Division in second position on the log following their comprehensive 78-28 victory over the Valke in Kempton Park on Saturday. The Eagles (27 log points) face theMighty Elephants (25 log points) in their final league of the season with the winner likely to end the season in second place on the log. The Griffons could mathematically still end up in second position if they could upset the Pumas next Saturday. 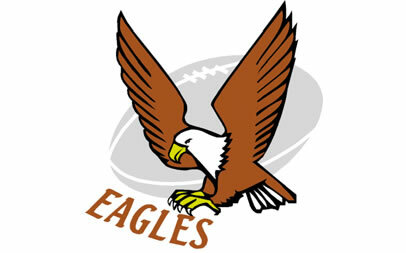 The team from Welkom, who are currently on 26 points, must defeat the log leaders who are still the only undefeated team in the Currie Cup First Division, with maximum points and hope that the Mighty Elephants defeat the Eagles without securing a four-try bonus point to end the season in second place. SWD Eagles fullback Bobby Joubert ran in four goodtries while Norman Nelson also added a hat trick of tries as the visitors secured second position on the Currie Cup First Division on in stunning fashion. Baldwin McBean also crossed the try line twice while Wayne Bennett scored the tenth try for the team coach by Johann Lerm. Ricardo Croy kicked all ten conversions and a penalty. The Valke though managed to secure a bonus point for scoring four tries. Wensley Mbanje scored a brace of tries while Andonis Klonaridis and Christiaan Els also all added five-pointers for their team. Jannie van der Merwe kicked all four conversions. The Pumas (45 lof points), who have already guaranteed themselves a home semifinal and a shot at promotion against the team who finishes last in the Premier Division, were also victorious this weekend following their 47-26 win over the Border Bulldogs in Witbank on Saturday. The hosts scored six tries thanks to Brett Nel, Ashwin Scott, Dee-Jay Terblanche, Tiaan Marx, Du-Wayne Smart and Juan Visser while Valentine van Wyk kicked five conversions and a penalty. The Border Bulldogs to their credit played some exciting running rugby and were rewarded with four tries that were scored by Bernard le Roux, Andisa Gqobo, Lolo Waka and Ghafoer Luckan. Gqobo kicked two conversions while Reinhardt Gerber also converted one of the Bulldogs’ tries.